Frey Ranch Distilling, near Reno, Nevada, is a near-200-year-old family farm that began distilling in 2010. One of the few “estate” producers in the U.S., the ranch’s current caretakers Colby and Ashley Frey oversee production of everything in each bottle of Frey Ranch products, including growing and farming all of the grains. I has an opportunity to taste both their vodka and gin. Frey Ranch Vodka is unique in it’s ingredients, using 4 grains in the distillate: corn, rye, wheat and barley. Its typical of a vodka to use one of these grains, usually corn, sometimes wheat, and only occasionally rye or barley. The end result, then, is an earthy, balanced, fresh and clean-tasting. Frey Ranch Vodka retails for $23. 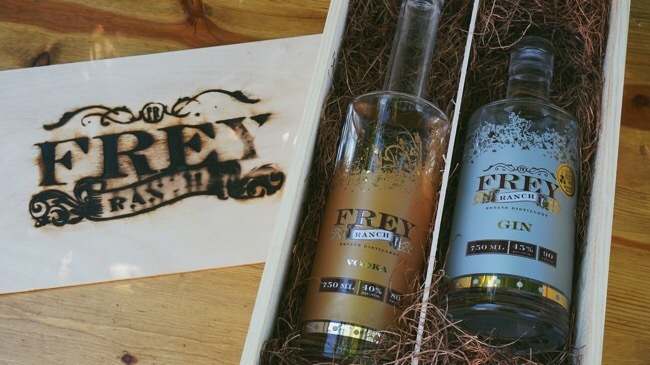 Frey Ranch Gin is distilled from Frey grain, too, then blended with estate-grown juniper berries and sagebrush with other botanicals sourced from around the world. The Fray’s Gin has a nice bite (it’s 90 proof) and an expected juniper note, with sweet sap and floral notes in the midpalate and a long finish with clove and anise spices. It’s bold enough to hold up in a Gin and Tonic, though delicate enough to make a solid Martini as well. Frey Ranch Gin retails for $35. Like their vodka, some varieties of the soon-to-be-released Frey Ranch Whiskies will contain all four of these grains in the mashbill, plus their take on ryes, bourbons, and more. Their whiskey products are currently being aged, to be released in the coming years. There is a real value in controlling all aspects of the production of a spirit, including the moment the seeds are planted for the grains, and the Frey family is working hard to make a solid product that’s both unique and versatile enough to make great classic cocktails, plus the price is hard to beat when you consider the work that’s gone in to it’s production. For more details on the Frey farm and history of the family, check out my friend Geoff Kleinman’s visit to Frey Ranch at Drink Spirits. 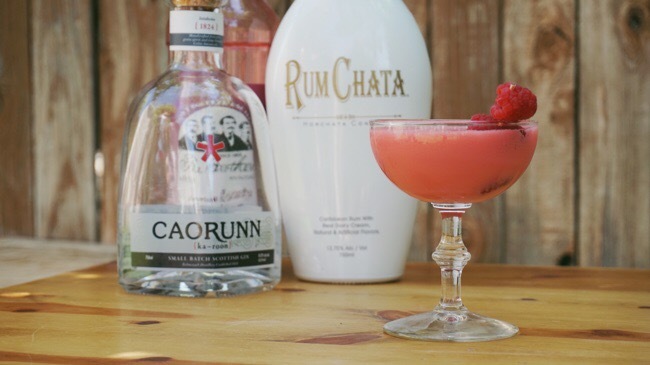 This entry was posted in gin, reviews, vodka and tagged colby ashley frey, estate distillery, frey ranch estate, frey ranch estate gin, frey ranch estate vodka, frey ranch gin, frey ranch vodka, nevada distillery, nevada estate distillery on September 26, 2016 by Greg. You know, I’ve always found cocktails that memorialize an occasion, or person, to be a bit cheesy and so I rarely partake in “theme” drinking. I found myself in a situation last week when Prince died, that folks who were coming to our already-planned cocktail party that night began asking if I was going to be making any Prince-themed drinks to remember him by. Drinking and partying in memory of someone who’s passed away is a thing, and people have done it for thousands of years (at least), so I softened to the idea of some themed cocktails, both for the sake of our party guests and because of fun in creating new cocktails! After 3 recipe revisions for each, we got them just right. The first drink we made is the Purple Rain (pictured above). So there you are: 2 simple cocktails you can drink in memory of The Purple One. Cheers! This entry was posted in gin, recipes, vodka and tagged prince cocktail, prince memorial cocktail, prince memorial cocktails, prince purple rain cocktail, prince raspberry beret cocktail, purple rain cocktail, raspberry beret cocktail on April 25, 2016 by Greg. I designed this custom cocktail for 7 Delicious Creative Albuquerque Cocktails. There’s nothing about it that says you can’t be sippin’ on one outside of the Land of Enchantment, plus it’s refreshing as heck, so let’s get drinking! This entry was posted in gin, recipes and tagged cucumber cocktail, gin cocktail, gin cooler, gin cooler cocktail, gin soda lime cucumber cocktail, lime cocktail, tall gin cocktail, uptown cooler on August 21, 2015 by Greg.